Ask Leo - Someone is sending from my email address! How do I stop them?! there’s almost nothing you can do. The MyDoom/Novarg virus currently running rampant is a great example. The virus infects someone’s machine and then looks in the email address book on that machine and emails a copy of itself to everyone it finds. What it also does is forge the “From:” address for the email that it sends. What does it use to forge the address? Why, the addresses in the address book, of course. So the infected machine will send email to everyone in the address book, looking as if it was sent by other people in that address book even though it was not. 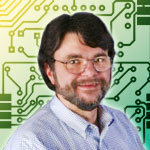 Look for Leo’s insight in PC Pitstop monthly newsletters and highlighted at techtalk.pcpitstop.com. leo notenboom business, email address book, Machine, malicious purposes, microsoft software engineer, password, PC Pitstop, Someone, using your account, virus. permalink. Pretty good post. I just came across your site and wanted to say that I’ve really liked browsing your posts. I hope you post again soon! Uh, rundll32 should NOT be running on XP or Vista or Windows 7 while IE8 is running. Now, if you have an NVidia graphics card….. the NVidia Explorer Toolbar uses rundll32 to run itself, which is normal for that. If you DON’T have an NVidia card and rundll32 is running when you are running IE8…. virus scan IMMEDIATELY, you most likely have a virus on your machine that has become ingrained in IE8. they don’t seem to care. I had to return to using IE7. This problem must be well known but do you think Microsoft has a good reason not to do anything about it? On two of the computers at work I use, I receive e-mail sopposedly from myself. How is this possible? Or maybe it’s not a virus or a compromised machine or a compromised account and it’s just someone sending an email with a spoofed header. Anyone who has the most basic telnet knowledge can connect to a server and issue a message that at least *appears* to be from any given user – which will cause those who don’t know better to think they’re truly from you.